You want to live in Norway and experience all the gorgeous sights that tourists get to see for free - or even better - while getting paid for it? It’s the end of the season now and to say that I’m exhausted is an understatement - BUT I’m already looking forward to summer next year as I’m going to work as a tour guide in Stavanger again! And maybe you’ll be my new colleague? Here’s everything you need to know if you want to work as a tour guide in Norway! First things first, though: I work as a cruise guide in Stavanger (and have also done so in Tromsø in the past), which means that my experience is limited to a) Tromsø and Stavanger, and b) being a guide on shore excursions of cruise ships. There are plenty of other guiding jobs available in Norway, for instance as a Northern Lights guide, as a mountain guide or even as a musher. Unfortunately, I only have experience as a cruise guide and can’t tell you much about those other jobs. Also, due to contract regulations, I won’t mention any guiding company I personally know by name, and can’t go into the specifics of things. However, I’ll provide you with as much information as I can, so that your most burning questions about the job should be answered after reading this article! What does a cruise guide do? There are two kinds of cruise guides - those that work on the ship and organise/book/join shore excursions in the different ports, and those that actually conduct the shore excursions. I live in Stavanger and work as the latter, which means I conduct shore excursions for cruise tourists in the surrounding area. Each cruise line that provides trips to Norway has contracts with one or several guiding companies, who provide the guides for each tour. Depending on the size of the ship, how many nationalities there are on board, and how popular certain tours are on a particular day/how many tours are actually being offered in that particular port, around 10-30 guides might be needed on a typical work day. As a guide, you’ll receive your assignment from the company you work for - if you’re lucky, several days in advance, but usually just the day before. However, the cruise schedule for each port in Norway is set a year in advance, so that you can plan ahead and pencil in the dates where you (most likely) have to work. At work you then lead the shore excursions yourself. Typically, these are either bus trips, guided walks around town, boat cruises or guided hikes. There are the more typical sightseeing trips where you lead the guests to the most important sights of a city (i.e. famous landmarks and/or popular museums), but there are also trips where you visit a certain venue with guests that specifically opens for your group. As the cruise ships stay in each port for anything between 6 to 12 hours, you can expect to be at work for the whole day. Sometimes, you only get 1 assignment (especially if it’s one that lasts for more than 5 hours) but more often than not, you either get back-to-back tours or one tour in the morning and one in the afternoon. If you’re more of a 9 to 5 person who loves routine, guiding is definitely not for you! You can expect having to work long hours with little time for breaks, and no work day ever is the same - so, if you’re not passionate about what you’re doing, you’ll grow tired of it quite quickly! Where can you work as a cruise guide in Norway? Typically as a guide, you are expected to travel for work as well. The smaller ports usually don’t have as many local guides available as the bigger ones, which means that as part of your job, you’d have to travel to a smaller port in order to guide there. As a cruise guide in Tromsø for example, you’d have to travel to the Lofoten Islands to guide, while Bergen-locals typically guide in Flåm, and Stavanger guides have to go to Haugesund for work. How long is the guiding season in Norway? The length of the guiding season depends on the port. While ports with Hurtigruten access need tour guides year-round (i.e. Bergen, Trondheim, Tromsø, North Cape), others, for example Stavanger and Longyearbyen, only need guides during the summer season, when international cruise ships come to Norway. The summer season then again differs between Southern and Northern Norway. Here in Stavanger, the season already starts in April and lasts until October, while in Tromsø, the season didn’t start until late-May back when I worked there, and only lasted until early-September. How much does a tour guide in Norway get paid? This differs from company to company but in general, the hourly wage is higher than in other hospitality jobs in Norway, mostly because guiding is seasonal work and you don’t have regular working hours. How to get a job as a tour guide in Norway? When it comes to finding work as a tour guide in Norway, social media and online job platforms are super important! When I first became a guide in Tromsø, I noticed an advert at the university’s online blackboard. Then this year when I noticed after my first winter of being self-employed that working from home 5 days a week is actually super lonely, I saw a post in the Facebook group for job seekers in Stavanger. Long story short, make sure to join FB groups for your specific town of residence and follow closely with Norwegian employment platforms, such as Finn or NAV. As guiding is a very popular summer job with students, make sure you also follow announcement boards of your local university. Last but not least, have a look at the website of the guiding companies of your town! When it comes to qualifications, there’s only one that’s really important: the ability to speak at least 1 language other than English/Norwegian. Generally speaking, German, Spanish, Italian and French guides are most sought-after, but sometimes (at least here in Stavanger), also Dutch-speaking guides are needed. Of course, being a native English speaker is a benefit but it won’t necessarily provide you with as many assignments as being bilingual does - all the other guides who don’t have English as a mother tongue, generally speak English well enough to guide in it as well. Prior knowledge to Norway/your base port is an advantage, but not required, as new guides have to undergo guide training anyway. Depending on your company, this is a theoretical and practical course that can last everything from one week to several months - usually starting in winter or spring, right before the season begins. In most cases, guides also get a uniform (that they may have to pay for, themselves). As a guide, having knowledge about Norway in general and the local area in particular, is vital. However, personal character traits are even more important in this job! You have to be confident enough to lead (and talk in front of) big groups, which can be everything from 20 to 200 people. You should also be able to handle stress well and keep calm if things don’t go according to plan. If you panic and get nervous, your guests might get nervous as well. Also, you never know what might happen on a tour, so you have to be prepared for the case that somebody falls ill or gets injured. A first aid course is usually part of the guiding training, so you should pay close attention. More importantly however, you should have the confidence to act according to what you’ve learnt in training, if the worst case scenario should happen. You’re not of help to anyone if you panic when your guest has tripped over and presents you with a bleeding leg - or worse, if your guest has a heart attack. I’m not saying this to scare you off by any means. I know that being a tour guide in Norway sounds like the dream job for many - however, it also comes with responsibility! If you don’t think you’d be able to handle a stressful situation, do yourself a favour and maybe wait a few years to get the job. From personal experience, having worked as a guide in 2015 and again this year, I noticed a big difference in myself and my confidence to remain calm in stressful situations this time around. Then again, even if you’ve been doing the job for a while, you should never treat it as routine and be prepared for anything. Accidents and illnesses can happen when you least expect them to, even on tours that seem easy-peasy! 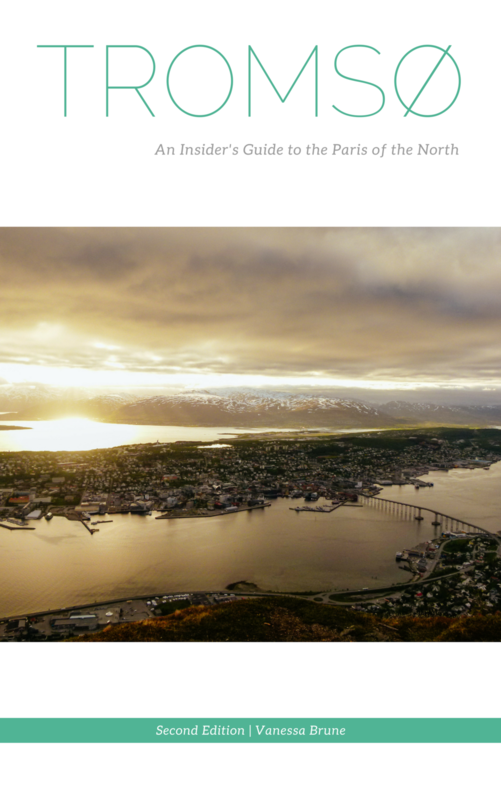 You might have already noticed this from the previous section, but becoming a cruise guide in Norway is way easier if you already live in the country! No guiding company I know provides accommodation for you - plus, you need to have your paperwork in order before you can actually start working. As a foreigner in Norway, you need to have a residence permit and a national identity number before you can open a bank account and get a tax card. As a EU citizen, a contract with a guiding company and proof of accommodation is usually enough to get you the residence permit and national identity number, however I’m not sure if this would be enough to grant you a visa if you’re from overseas. You can check this with UDI (the Norwegian Directorate of Immigration). Leave me a comment below and don’t forget to check out my “Life of a Tour Guide” highlights reel on Instagram (@snowintromso) for more insight into the job! PS: Watch this video to prepare for the kind of questions that tourists will ask you! Newer PostVisiting Norway during Christmas or New Year's Eve? - 3 Things to consider (and where to go)!